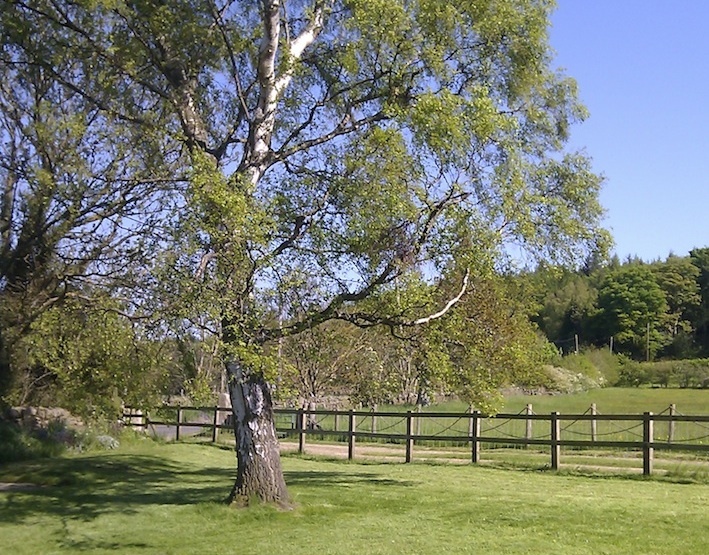 This is the first post I’ve written to link up with my new writing linky – how exciting! Here’s to plenty of time spent in the world of writerly ponderings! Ahhhh I can just feel myself relaxing. It could be the effect of the wine I’m drinking of course… but no, it’s just the thought of sharing some writing-chat with people who know where I’m coming from. Excellent. So, how has September been for me creative-writing-wise? Well, so far it’s been a bit of a flat month. Having set myself various monthly word count goals since starting my novel in May, it had reached 50,000 words by the end of August. And then? Well, then I ground to a halt. The sum total of my creativity this month has been a poem and a limerick. My novel has progressed by not even a single word. Of course it’s been with good reason: Yes, it seems that starting a linky to motivate you with your writing, takes up rather a lot of the time you would normally spend writing! But still, the fact that the linky has now launched means I should have more time to write this week, so I’ll be doing just that. In fact I’ll be setting myself a writing challenge before I finish this post. As is usual with my writing style, I have no idea what this challenge will be yet – I’ll just have to see what words form themselves on the tips of my typing fingers. When I haven’t been linky-launching this week I have been mulling over the issue of word counts and their relationship with quality. I set myself a lot of creative challenges on this blog and many of them are to do with writing a certain number of words. 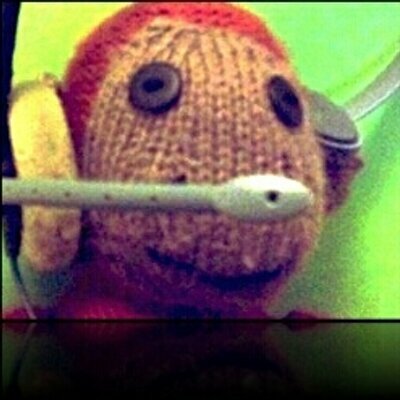 In July I did CampNanoWriMo for the first time and It helped me to write 15,000 words of my novel that month. 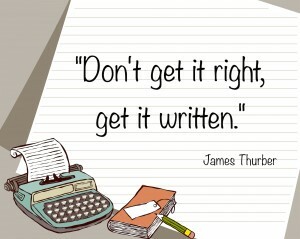 All along I’ve been using the James Thurber quote above as a bit of a mantra. It’s helped me focus on getting the words out – and thus the writing practice in – without obsessing about getting it perfect. 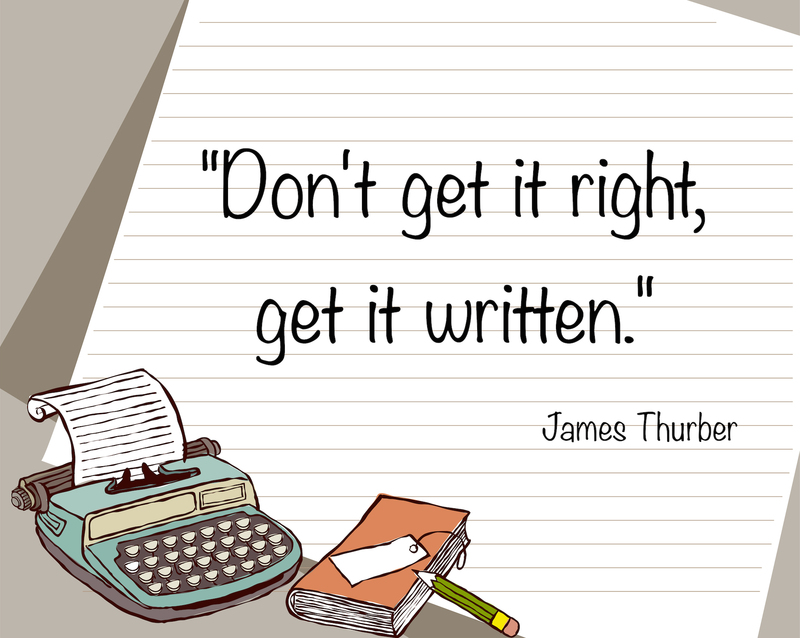 I figure I’m not going to get it ‘right’ at this stage of my writing journey. In fact I suspect that I am never going to get it ‘right’, not to my satisfaction anyway! But I recently read a post by Victoria who blogs at Coffee. Write. Repeat. about why she doesn’t write every day. Victoria did CampNanoWriMo when I did but felt that, although she achieved her word count goal, a lot of what she wrote wasn’t up to scratch because she was writing the words just for the sake of getting the word count. She felt she’d now have to put a lot of work into re-writing that perhaps she wouldn’t have had to, had she not charged ahead to achieve a numerical target. And it got me thinking – by pushing myself to write a certain number of words per month am I actually making more work for myself in the future? Obviously, I accept that my novel will need numerous drafts and redrafts however I write it (and however long it takes) but would it need fewer if I just wrote it more slowly? Am I chasing quantity at the cost of quality? But then, if I don’t set myself a word count target there’s a risk I won’t write any of my book at all. I have three kids one of whom is a baby. I work (albeit in a very part-time manner) I have a social life (of sorts!) I have a house that insists on becoming messy if I don’t attend to it, a fridge of food that refuses to cook itself and a husband who, occasionally, would rather like it if I didn’t have my fingers welded to my keyboard. All in all it’s a pretty packed schedule. If I don’t give myself targets how will I make myself write when I want to sleep or need to attend to all those other (vital) things? Is my love of writing enough to push me on? 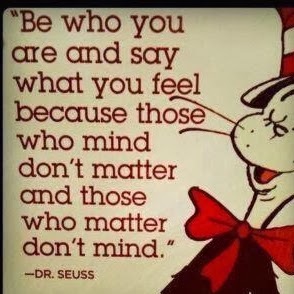 Oooh a challenge for the week has now occurred to me! I’m not going to set myself any targets for this week at all. I’m going to tell myself I don’t have to write anything. It doesn’t matter if I don’t write. I can if I like, but if I want to watch the last couple of episodes of season four of Breaking Bad (followed by a hefty chunk of season five) then I can. If I want to write poems or short stories for my blog (for my favourite linkys Prose for Thought and The Prompt) then I can… but I don’t have to. No pressure! This might not sound like much of a challenge to anyone who doesn’t know me and how I write, but it is – I thrive on having targets to reach and goals to achieve. My first task will be to convince myself there really is no pressure. I’ll report back next week! This entry was posted in Poetry, Pondering, Prose and tagged #whatI'mwriting, campNaNoWriMo, creative process, goals, writing on 9 September 2014 by Maddy. I was recently invited to take part in a ‘virtual blog tour’ which is basically a journey through the blogosphere stopping off at various blogs along the way. Each blogger answers a few questions about themselves and then invites and introduces another couple of bloggers who answer the same questions on their blog a week later, and so it continues. 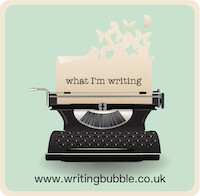 It’s a great way of finding new blogs and gaining an insight into why bloggers write what we do! I was invited by the lovely Morgan Prince of Shaking Away the Cobwebs. I’ve been reading Morgan’s blog since last year when we both started regularly linking up with Prose for Thought to share our creative writing. She is a stay-at-home-mum who is working on a novel (and various other projects) and I can identify with a lot of what she blogs about. I really enjoyed reading about her creative process in her blog tour post last week. My biggest project at the moment is my novel. It’s a psychological mystery (with a thriller edge). After an accident, its central character finds she has different memories of the last seventeen years than her loved ones do (in fact some of her loved ones are different people altogether!) The book follows her trying to figure out what is going on and what the truth is, while a growing threat to her safety lurks in the background. My blog is my other big project. I started it as a place to record my experiences as I explored my ambition to become a published author but as time has gone by I have found myself posting more and more of my poetry and flash fiction on it. To begin with I found doing this terrifying, as I couldn’t bear for anyone to read my work (what with the self-doubt demon biting at my toes) but overcoming that fear has been massively beneficial. It’s given me the confidence to submit my work to various competitions and publications and I’ve even had a tiny bit of success that way! Hmmm. Well, I think every writer has their own voice and style of writing but really I’m still exploring what mine is. I very much feel I am on a voyage of discovery in this area (even though that does sound a bit pretentious!). In a way I like to think that my book is different from other psychological thrillers because although it has threatening elements and a mystery to unravel it is really a story of maternal and familial love. On the other hand, the genre is a popular one at the moment so I think there’s something to be said for not straying too far from what readers expect and want when they pick that sort of book. 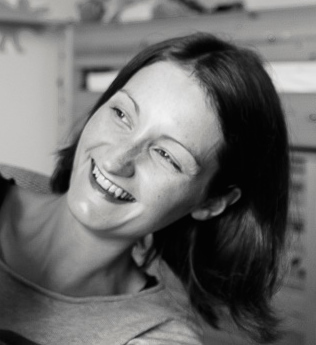 My blog doesn’t really fit into a box – I suppose it’s a writer’s blog but I’m not a published author, and I also blog a bit about parenting but it’s not a mummy blog. It’s also unique in that it’s full of my own pieces of fiction. Every blog is different though- that’s part of the fun. I also write as a record. My blog is obviously this, but I have written poetry about how I feel about my children and about certain events and experiences. I wrote a poem about pregnancy as I wanted to remember how it felt to be heavily pregnant, and I wrote about birth (as a record but it also turned out to be very cathartic). So for me writing is a very important tool – I use it to capture, remember, imagine, create and even recover. These days I would feel lost without it. I like to set myself challenges. I don’t have much free time to write so I find that setting myself weekly or monthly word count goals (as well as other aims like ‘enter a flash fiction competition’ or ‘write a poem on such-and-such a subject’) help me to use my time more effectively. For my novel, I’ve been setting myself monthly targets since May and I’m currently nearly 50,000 words into the first draft. Doing CampNaNoWriMo last month helped too! Outside of the structure of my self-imposed challenges, there is a lot of ‘winging it’ that goes into my writing. I’m not much of a planner – I like to write and see how things evolve. I love it when characters surprise me (which they frequently do) and am always open to sudden changes in direction (the ‘thriller element’ of my book just appeared!). Really my writing process is just me on the sofa, with a laptop and a drink, seeing how it goes. I also have an ongoing limerick challenge where I write a limerick on a subject of my sons’ choosing and post it on my blog, so in that way my kids are very much a part of my process! Lastly, I read a lot of fiction. This feels intrinsic to my writing. I love getting stuck in a good book! 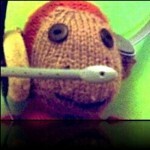 I’ve been following Mummy Tries‘ blog since the start of the year when I happened across it on a linkie. At the time she (who shall remain nameless as she blogs anonymously!) was heavily pregnant with her third child and attempting to write a book. My third baby was ten months old at the time so I could identify! Since then she has become a loyal and supportive blogging friend. 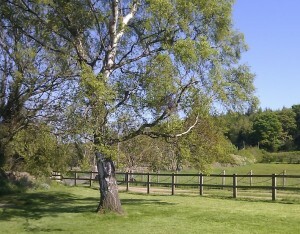 I can throughly recommend a visit to Mummy Tries where she blogs about life with her hubby and three cherubs. 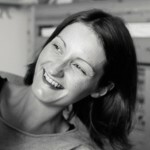 She shares parenting insights, thrifty tips, what she has learnt while on the GAPS diet and lots of ‘free from’ recipes. She also takes the odd trip down memory lane to a dysfunctional past that is well behind her. She is currently writing a self help book and hopes to inspire others to break the ‘Cycle of Dysfunction’ like she did. I’m continually impressed by how often she blogs and how much she manages to fit into her life, especially with so little sleep. I’m looking forward to reading her Blog Tour post next Monday and finding out more about her book! The other blogger I would like to introduce is Chrissie from Muddled Manuscript. Chrissie is another fellow writer and mum-of-three who I met (in a virtual sense) early this year. Her blog focusses on her writing and right from the start I was fascinated by her insights into the novel-writing process. She has a lot of experience as she started writing her first book fourteen years ago (and she’s still younger than me)! 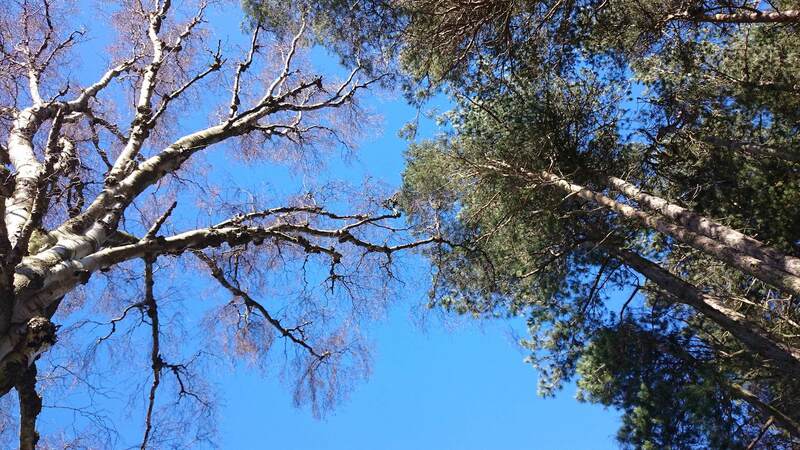 She is a talented writer who also posts a lot of her own creative work – both poems and short stories – on her blog so it’s well worth a read. Chrissie has been an inspiration to me as she has taken part in – and won – no fewer than eight NaNoWriMo’s, three of the November ones (where participants aim to write a 50,000 word novel in a month) and five CampNaNoWriMo’s (where participants can choose their own word target… but she has also written a 50,000 word novel each time)! 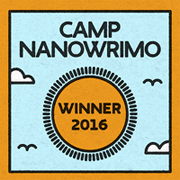 It was Chrissie who encouraged me to take part in (and win) last month’s CampNaNoWriMo. She has been an excellent support to me with my writing for months and become a good friend in the process. Well, I really enjoyed writing this post so thank you Morgan for inviting me to the tour. 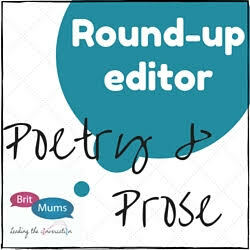 Remember to pop over to Mummy Tries and Muddled Manuscript next Monday to read their blog tour posts – I’m looking forward to it! This entry was posted in Pondering, Prose and tagged ambition, blogging, campNaNoWriMo, creative process, goals, novel, questions, writing on 11 August 2014 by Maddy. 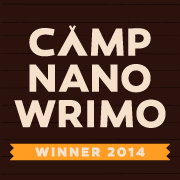 Yes, I won Camp NaNoWriMo! Of course ‘winning’ just means achieving the word count target you set yourself – I completed my 15,000 words last night – but it still feels good! As I said in my last post, I’ve really enjoyed Camp and I fully intend to do it again sometime. With my CampNaNo words added to it, my novel is now at just over 46000 words so I’m making progress. I’m hoping to finish the first draft by the end of October. And now for a campfire with some marshmallows toasted on sticks! This entry was posted in Pondering and tagged ambition, campNaNoWriMo, creative process, goals, success, writing on 27 July 2014 by Maddy. We’re two-thirds of the way through the month so I thought I’d do a bit of a summary of my CampNaNoWriMo experience so far. So… it’s been pretty good! I’ve just reached 12,000 words of my 15,000 word target so, even though school holidays have now started (which means my writing time is reduced), I’m fairly confident of making the target. Of course, writer’s block has an unhappy habit of appearing just when I need it least so the last 3000 words might not be easy to come by but let’s think positive – I’m determined to make it! Regular readers of this blog will know that I am not a stranger to setting myself word count goals (I did 20,000 in May and 10,000 in June) and might be wondering – is Camp Nano is any different to this? Yes, as is so often the case in this crazy online world, the feeling that ‘you are not alone’ plays a large role. 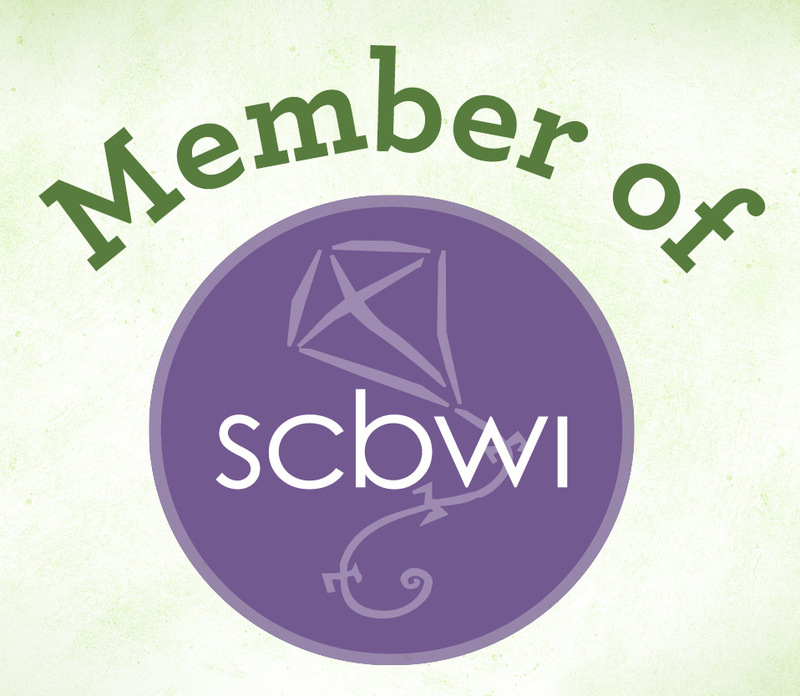 When you take part in CampNaNo you become part of something bigger than just being a solitary writer working towards your own private targets. For a start, you get placed in (or can choose your own) virtual cabin full of cabin mates with whom you can chat and swap advice and encouragement. I have a lovely group of writers in my cabin, all aiming for word counts similar to mine and I’ve enjoyed talking to them in our little private forum. 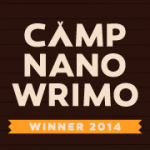 I’ve also found a few new blogs and exchanged tweets with fellow campers through the #CampNaNoWriMo hash tag. This has been great for the inevitable moments of self doubt. 2) The incentive to win! I’ve personally found that having stated my word count target somewhere outside of my own blog I feel even more determined to achieve it but – even better than that – with CampNaNo if you reach your target by midnight on the last day of the month you are declared a ‘winner’ and get a little winners badge to display on your blog! Ok, it’s hardly great fame and riches but for the *slightly* competitive amongst us (and if you saw my involuntary, two-handed victory air-punch (with accompanying roar) as my 4-year-old won the obstacle race in this year’s sports day you’d know what I mean) this a surprisingly big incentive! Oh yes, that subject you hated at school really comes into it’s own with CampNaNo. At the start of the month you tell the site what your word target is and it calculates how many words you need to write per day to achieve that. It’s all displayed in a graph and as the days go by you can keep entering your word count (as often as you like) and your progress appears on the graph along with info about what your average daily count is, whether you’re on target etc. You can also see the stats of anyone else in the camp if you’re feeling interested/competitive/nosey. 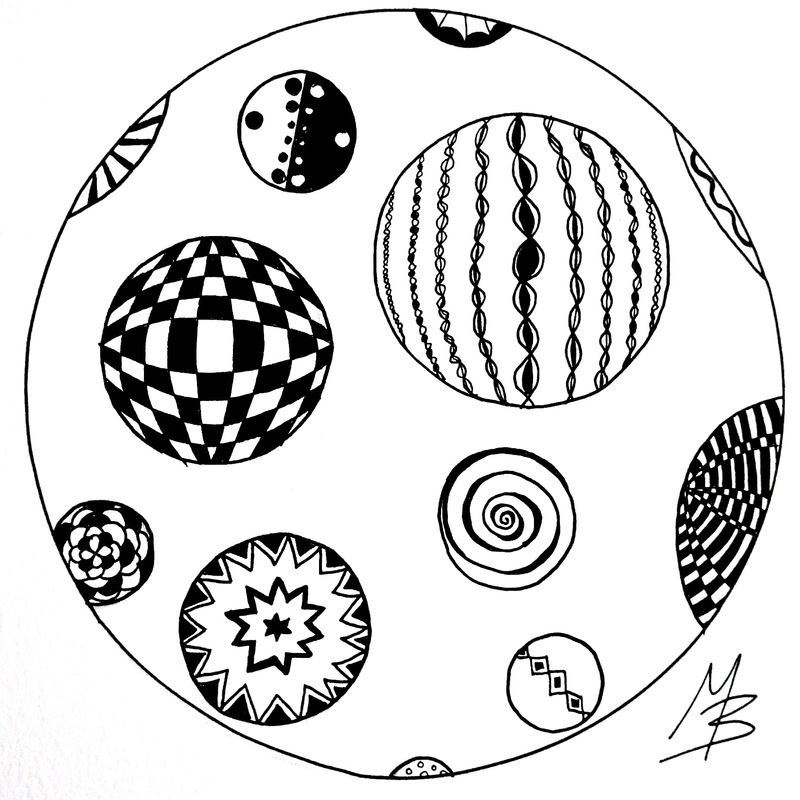 Feel free to take a look at mine here! I’ve found it really helpful and motivating. There have been days when I’ve not written at all and have felt like I’m not getting anywhere and then it’s been useful to look at the graph and see that actually I’m doing fine. I’ll miss it next month! There are also other reasons to take part – for instance camp sends you daily emails with writing prompts and challenges which are helpful if you’re suffering from writers block. It’s a great idea but I haven’t read many of mine as I’ve been too focussed on writing! So there you have it: for the first time in my life I’m enjoying camping! This entry was posted in Pondering, Prose and tagged campNaNoWriMo, creative process, goals, novel, writing on 20 July 2014 by Maddy. CampNaNoWriMo starts tomorrow so preparations here are in full swing! Although by ‘full swing’ I mean I’m sitting here thinking ‘I really must get organised’ while actually doing nothing at about it. But that’s pretty much how I start every holiday – I’m a last minute scrambler who’s much more likely to concentrate on writing a list of things to pack than actually getting anything in the suitcase. Not that CampNaNo is a real holiday (and thank god for that, I hate camping) it’s just a virtual one: “An idyllic writers retreat, smack-dab in the middle of your crazy life” is how it describes itself. I just have to write 15,000 words in a month and enter daily word counts onto the camp nano website. Easy. Or perhaps not as I struggled to write 10,000 words this month and school holidays start in the middle of July so I’ll have even less free time. But I’m up for the challenge! Anyway some things are sorted. For a start, last night I completed the 10,000 word challenge I sent myself for June so the first draft of my novel stands at just over 30,000 words now. So assuming I reach my CampNaNo goal it should have reached 45,000 by the end of July which is probably more than half of the draft. I say ‘probably’ because, due to not being a planner, I have no real concept of how long my book is likely to be. But my gut says 80,000 words (give or take the odd 10,000). What I DO need to do before tomorrow though is sort out my characters as some of them are a bit hazy. And I could really do with working out where the next few chapters are going to be taking me. I’m currently following a ‘let’s see what happens’ approach which is quite fun (and surprising) but is a bit too ‘seat of the pants’ to be comfortable. And I need to be comfortable while camping don’t I? I’ve got to have an air bed and a camping stove and my own duvet at least! This entry was posted in Pondering and tagged campNaNoWriMo, creative process, goals, intention, novel, writing on 30 June 2014 by Maddy. 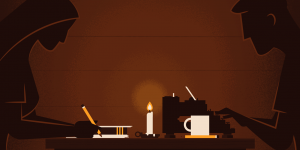 Ever heard of NaNoWriMo (Nation Novel Writing Month) ? 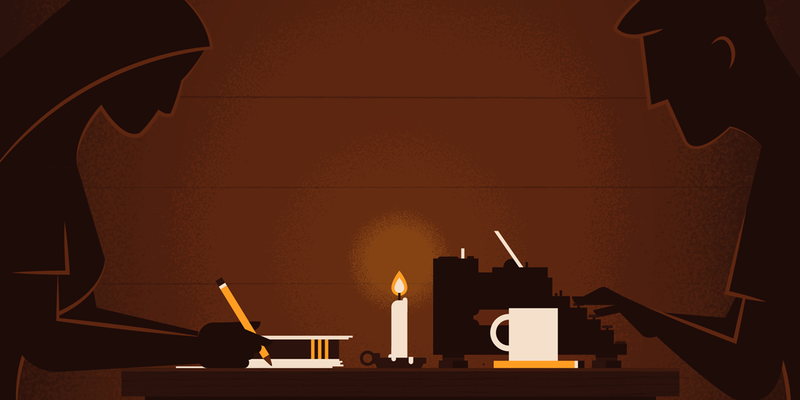 In case you haven’t, it’s an annual, online creative writing challenge to write a 50,000 word novel between the first and the last day of November. It’s been running since 1999 and attracts participants from across the world. It describes itself as: “a fun, seat-of-your-pants approach to creative writing… for anyone who has ever thought fleetingly about writing a novel.” Basically you write (crazily fast) throughout the month, entering what you’ve written into their secure site where the words are counted (but never seen by a human eye) and logged. If you hit the target by the end of the month you are declared a winner. And maybe you’ll be able to get your novel published at some point in the future – over 250 NaNo novels have been traditionally published since its inception… and counting! Sounds fun? A bit mad perhaps? Well yes. I toyed with the idea of taking part in it last November (for all of two seconds before deciding: “Who am I kidding? I couldn’t possibly do that – I haven’t slept for nearly a year!”) and am vaguely considering doing it this year. But then via my friend Chrissie who is a total NaNoWriMo enthusiast (I think she may have done seven of them… possibly more) I became aware of an offshoot of the main event: CampNaNoWriMo which takes place twice a year in April and July. This is a less pressured event that you can enter with anything upwards of 10,000 words (and you can write short stories and scripts and things – it’s quite flexible). So, I’ve decided to take part next month! I’m all signed up with a target of 15,000 words. If I manage that (and if I hit my 10,000 target for this month) my novel will have reached 45,000 words by the end of July. I’m quite excited! But it does mean I need to write fast to finish my target for this month. I also need to leave myself time before July 1st to do some preparation work because basically I’ve got to the point where I need to plan more of my book before I can write more of it. Yes, If you’re a fastidious planner you can read this and feel smug because my novel is barely planned at all. I only really have a vague outline and am mostly making it up as I go along. Tsk. On that note, I’d better scarper. This entry was posted in Pondering and tagged campNaNoWriMo, creative process, goals, NaNoWriMo, novel, writing on 23 June 2014 by Maddy.